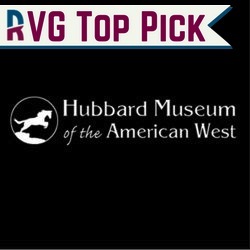 Home to New Mexico’s first Smithsonian Institution Affiliate museum Hubbard Museum of the American West is a monument to times and places that are not quite as far off as you may think. It is a place where visitors can experience the West and three area cultures – Native American, Hispanic and Pioneer. The museum’s 10,000 plus piece collection includes wagons, carriages, saddles, firearms, artwork and Native American artifacts. In addition, there is a state-of-the-art interactive learning center and children’s area. Open seven days a week, excluding some holidays. 9 am – 4:30 pm. Admission: Adults, $6; Seniors and Military, $5; Children 6-16, $2; Under 6, Free.